In 1997, a couple of years after Michael Schumacher had won two championships with Benetton, the constructor introduced the B197. Driven by Jean Alesi and Gerhard Berger, the car didn’t win them a title. These days, the B197 can still occasionally be found on the track doing what it does best. Like every other car of that era, its engine was naturally aspirated and, oh dear me, does it sound outstanding. 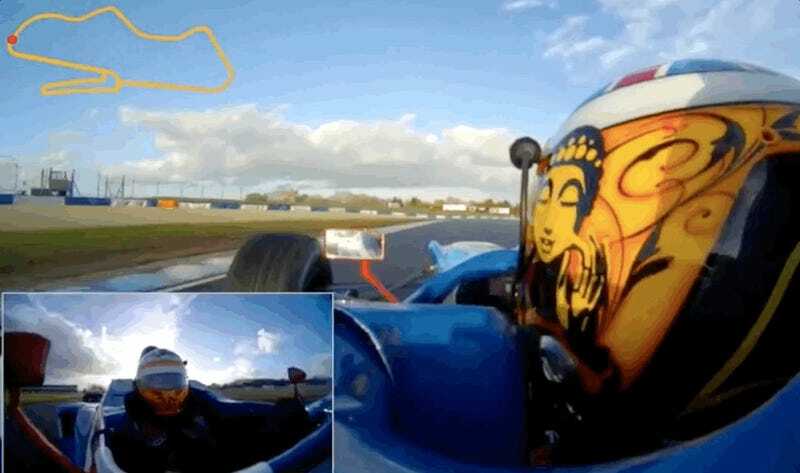 Here’s footage of the British driver Scott Mansell taking a couple laps at Donington Park in England’s East Midlands. Go ahead and crank the volume. Benetton’s last season in Formula One was 1999, when it finished sixth in the constructor’s championship. Renault purchased the team the following year, keeping the Benetton name for two more seasons before becoming Renault F1 in 2002. The team then entered somewhat of a golden period, winning points titles in 2005 and 2006 with Fernando Alonso as driver. They haven’t won since.